Happy birthday wishes can bring a smile to anyone's face. The happy birthday messages on this page can do it instantly, without fail, lifting the spirits of the people you love. If you're here, you already know this fact. What you may not know is that many other people visit this page purely to find happy birthday greetings that strike the right balance of sentimentality, inspiration, cuteness and joy for their loved ones (in other words, a one-size-fits-all birthday message). If this is the type of message you want, taking the "happy" path is definitely the right direction for you. 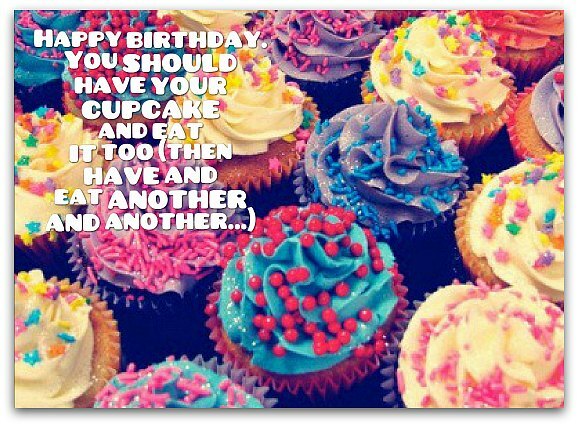 Pick just the right happy birthday messages for your loved ones. All you need to do is check out Message Guy's tips on the previous page. It will only take you a second and may just make all the difference — between sending a good birthday message and a great one. May you have years upon years of happiness, health and prosperity. But why stop there? May you have as many years as you desire. May your birthday and every other day of your life be filled with more health and happiness than you will ever need. Happy birthday! Hoping you only know many more happy, healthy, wealthy, wise years. Happy birthday! Whether or not your birthday wishes come true, you can be sure of one thing: we will always wish only the best for you. For you, I wish truly the very warmest, very happiest of birthdays. Hoping your birthday and all your days bring you better than the best. You deserve to celebrate only the happiest of birthdays. May this one be your very happiest. Best wishes for 365 bright and beautiful days of happiness, health and success, starting with your birthday. May your birthday be full of happy moments and the moments of your life full of happy birthdays. This is one of those happy birthday wishes that says so much with so little words. Its simplicity is one of its greatest virtues, since anyone can relate to it. That's my idea of a "perfect" birthday message. Happy birthday to terrific person! Hope your day is just as terrific as you are! Happy birthday! Hope today, your special day, is the start of your most incredible year yet! Happy birthday! May you have a special day as wonderfully special as you are to your family and friends. Happy birthday! 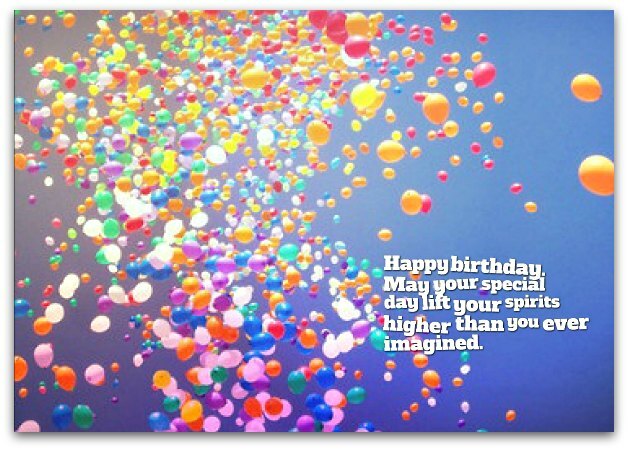 May your wildest dreams fire up your life and light your birthday candles for many years to come. On this special day, I wish you the very best...all the joy you can handle and more. Happy birthday! Happy birthday! May you be blessed today, tomorrow and all the days of your life. Happy birthday! Hope the most fantastic day of the year for you is absolutely funtastic.